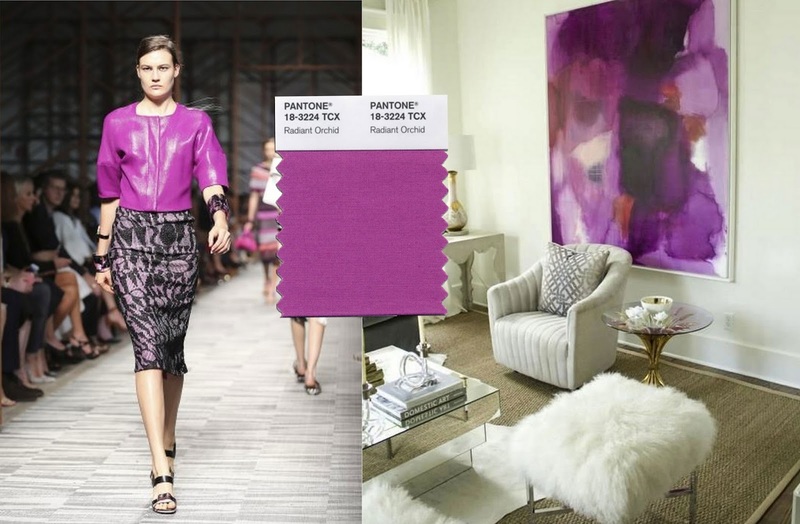 Radiant Orchid reigns for 2014, according to the masters of the color wheel. Patone has named the vibrant purply hue its color of the year, which means you'll be seeing the shade splashed on everything from cameras to Keurigs. Accents in nearly any shade of purple can add glamor to an outfit or a room, and Radiant Orchid is both cheery and sophisticated. Just don't overdo it, or you run the risk of veering into Barbie Dream House territory. 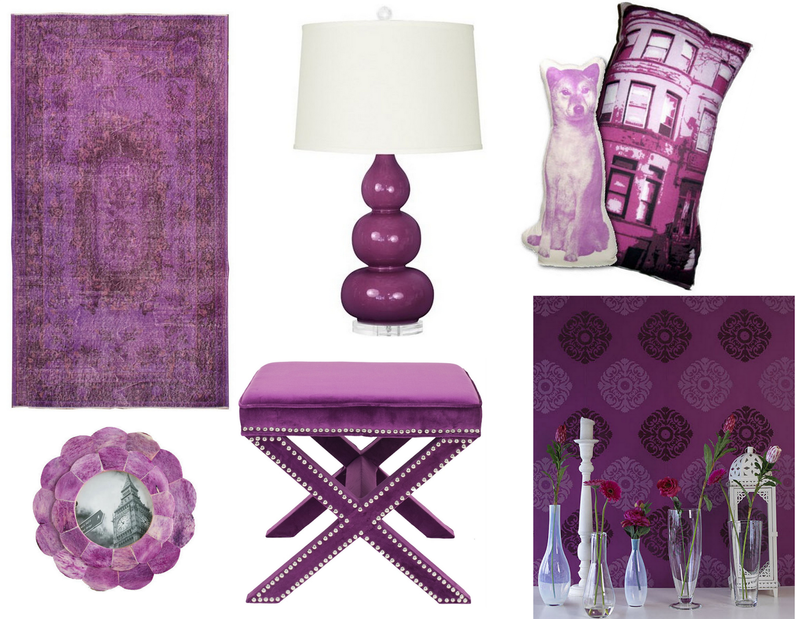 Click through for ways to incorporate the color in both your wardrobe and your home decor. So I definitely didn't love this color at first, but thanks to you and this awesome post it's definitely starting to grow on me! You picked some absolutely beautiful pieces to demo this color for us, I love that ottoman and beautiful scalloped frame! !